FROM FIRST STREET, TURN RIGHT ONTO CHURCH ST GOING AWAY FROM TOWN, AND TURN RIGHT AT THE STOP LIGHT NEAR THE POST OFFICE. WE ARE LOCATED IN THE BRICK BUILDING ON THE LEFT. IF COMING WEST ON GA HWY 280, TURN LEFT ONTO CHURCH STREET. GO THROUGH THE FIRST TRAFFIC LIGHT. AT THE SECOND TRAFFIC LIGHT NEAR THE POST OFFICE TURN RIGHT. OFFICE WILL BE A BRICK BUILDING ON THE LEFT. The Vidalia Social Security office is located in Vidalia 30474. The following page includes information for this location like the office phone number, hours of operation and driving directions. If you have any interests or comments about your retirement benefits or are interested in making an appointment, call the following Vidalia Social Security office. The Vidalia Social Security office is located at 104 W Third St. 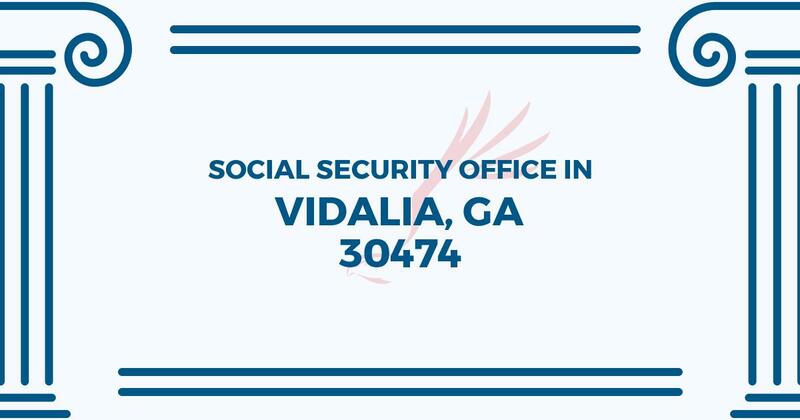 The Vidalia office shares information, assistance and services handled by the Social Security Administration. The following page features information for this location like the office phone number, hours of operation and driving directions. If you have requests or issues about your retirement Social Security benefits, or you need to schedule an appointment, contact the Vidalia Social Security office.